Mad About . . .
Hello and how lovely to be back on these pages. Some of you will have read the newsletter, which went out at the weekend, but for the rest of you welcome back to The Mad House. 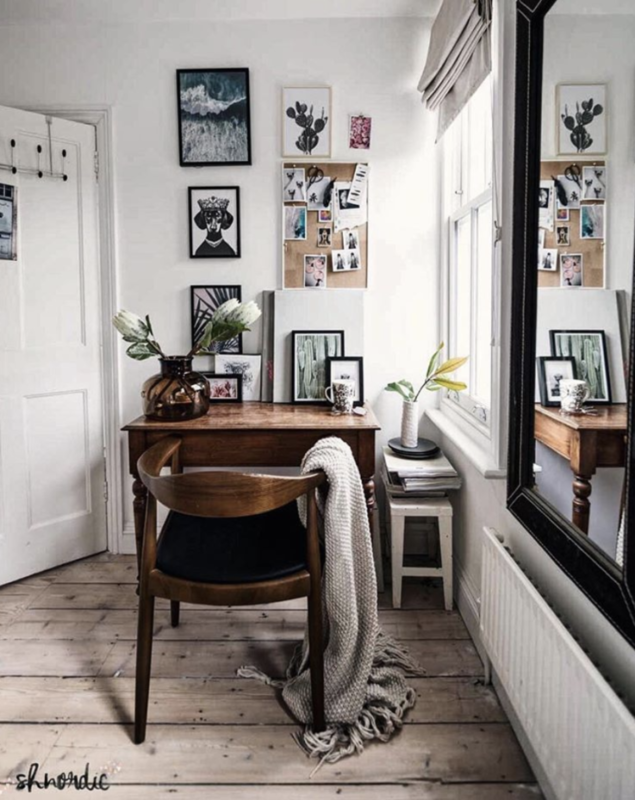 I thought we would start with some fabulous workspaces seeing as so many of us will be going back to work this week. First up I just love this calm space by Susanna Hawkins of SHNordic. It may be small but that just goes to show that size doesn’t matter. The chair looks comfortable and there’s plenty of light coming in from the window. 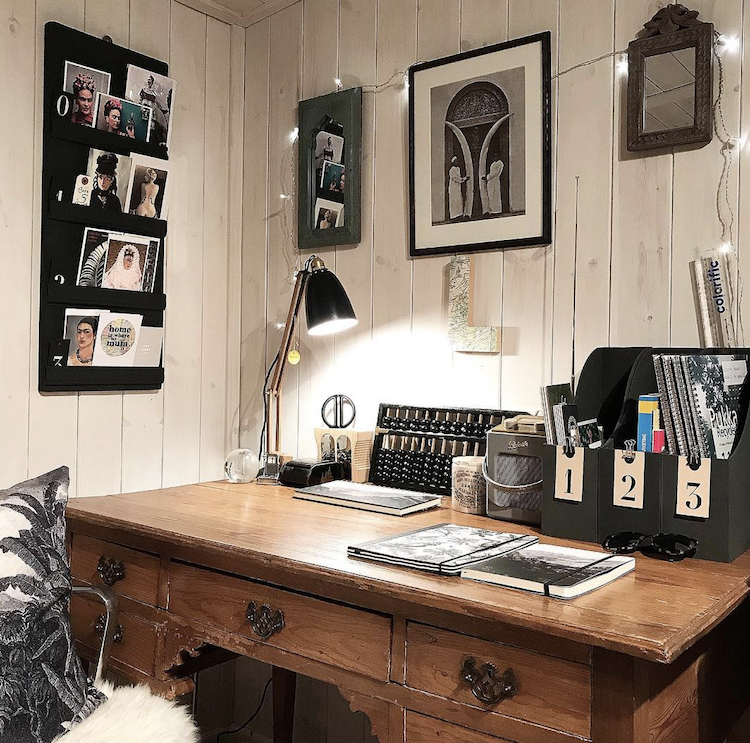 And, crucially, it looks like a space that fits with the rest of the house, which can be one of the hardest things to pull off when you work from home. A similar set up from Ingredients Ldn, a boutique lifestyle store, with its calming and pale colour palette and wooden desk. Now, of course, this set up isn’t going to be suitable if you work full time from home and need access to paperwork and files but if you are part time then it’s perfect. Mind you, we so often designate the smallest room in the house (ok the second smallest) for the office and then wonder why we don’t want to spend time in there when it’s dark, full of drying laundry and you’re jostling for space with the sofa bed. Instead, if you can, use that room for the storage and take your laptop to the sunniest space in the house and work there. If you have to get up every now and then to fetch paperwork you can add it to your step count for the day and call it exercise. Other people like to work in communal space such as that one from Soho House above but one. While I don’t do that I certainly modelled my own loft space (see today’s instagram post) on the idea of a long desk where several people could work at once if necessary. The truth of the matter is that it tends to be either me or The Mad Husband as he likes to work to music and I don’t. So he tends to be upstairs while I sit at the kitchen table. But it was a good idea at the time. And if the Mad House ever expands enough to need co-workers then there’s a desk ready and waiting for them. I feel inspired to reclaim and refurbish my workspace now and climbing up three flights of stairs to get there is definitely good for the glutes. Just need to make sure I don’t carry the biscuits back up there with me. This gorgeous sitting room floated past my instagram feed this week although its creator, Kyla, was wondering if she should paint it light. I love it this way but then my own sitting room is painted dark so that’s no surprise. Having said that there is a definite move towards lighter shades at the moment and while I don’t think dark will disappear completely, pale is coming back to reclaim some walls. And talking of colours and trends a quick word about this week’s content. Tomorrow we will be taking a look at the new House by John Lewis Collection and on Thursday – drum roll – I will be showing you the new Dulux colour of the year so get ready for that and do place your best guesses for what it might be in the comments below. For what’s it’s worth I’m always wrong so let’s see if any of you do better. Moving on to a mix of light and dark – is this the happy compromise with this gorgeous, and timeless bathroom by Sally Denning. I’m going to be reviewing her latest book, Relaxed Coastal Style, soon look out for that if you like this picture. I love it – I’ve always been a fan of wooden panelling in a bathroom. And since it’s Monday and those of us who went back to work today are already exhausted here are a few gorgeous bedrooms. First is the modern rustic beauty from Reena at Hygge for Home. 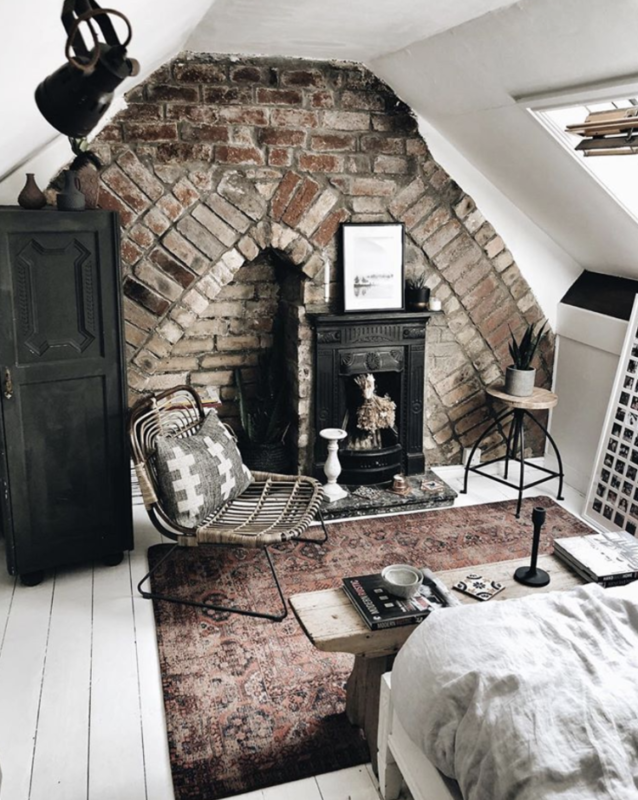 I love the colour of the rug against the exposed brick fireplace, which is very similar to my kitchen – probably why I love it. Or what about this pared back space by Island Supply Co with its simple colour palette and lots of natural wood. Also, note the bedhead – what a great idea. And finally, my current favourite bedroom of them all by Kimberly at Swoonworthy (click the link to find out all about it). I adore this paper but The Mad Husband would never let me have it. Kimberly says she saw it here and was able to convince her partner that it was perfect for their bedroom. So there we have it. Ten Beautiful Rooms to start the week, the month and the new year. I hope that has helped your Monday and it’s lovely to be back. I'm a journalist who writes about interiors mainly for The Financial Times but I have also written regularly for The Independent and The Daily Mail. My house has been in Living Etc, HeartHome and featured in The Wall Street Journal & Corriere della Sera. I also run an interior styling consultancy Mad About Your House. Welcome to my Mad House. Welcome back, Kate! Is that headboard actually a mantelpiece? As for the colour … a spice, possibly. Wonderful to be back enjoying these trips/inspirations/avenues of total delight…with coffee! Thanks and here’s to a great year! I think it might be tan, a rich rusty brown……. I’ve recently re-watched “out of Africa” and love the colours….. I just need to move continents. I’m going for a dusty sage green from Dulux. Welcome back, Kate! Has to be a Green, no?! Beautiful rooms, as usual…but I can see that cactus on the bedhead coming to an awkward end! My thoughts exactly! But maybe it’s an alarm clock system? ?